NOTE: Open to ages 19+ only, please. All attendees will get the EyeLoveBirds Vancouver bird app for free on their iPhone, as well as a printed of checklist of the common birds of Stanley Park. Have a beer by donation before the walk starts! 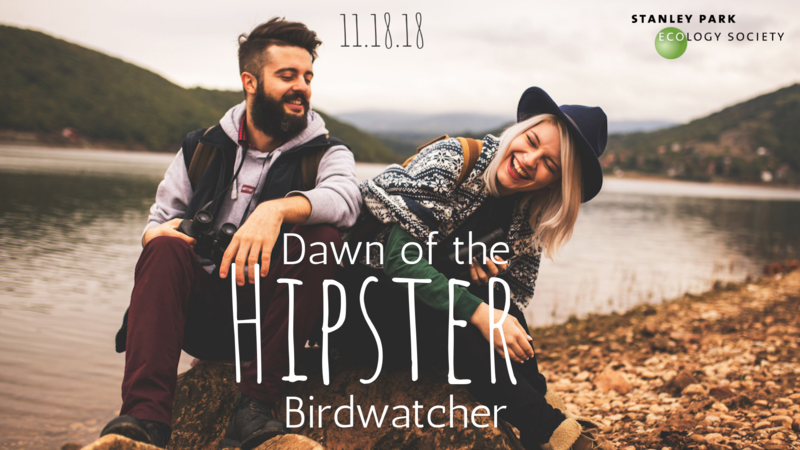 Calling all closet birders and nature-curious to join Dawn of the Hipster Birdwatcher, a laid-back nature walk around Lost Lagoon, hosted by EyeLoveBirds. While we will be offering tips on identification and interesting facts on our local species along the way, mostly we want to offer a casual, social and fun get together, with a cold beer to get you started. Read the Telegraph article which inspired the title.